Conceivably, VLC is the most popular as well as powerful free and open source tool in the market. 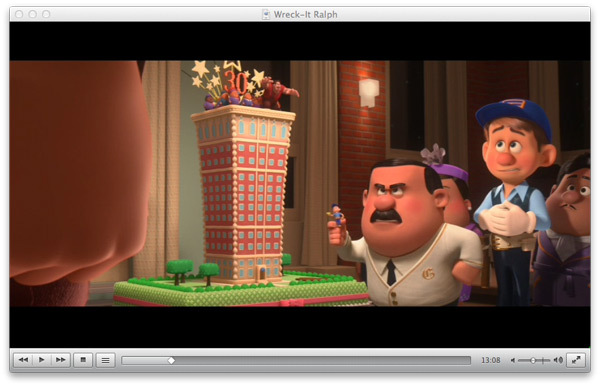 VLC is capable of playing virtually every file format that you can think of, both in Mac and window based computer including DVD of course. However, many people encounter problems while playing their video with VLC. Most of the questions that you might encounter in search engines are how to play DVD with VLC? How to play a DVD with VLC? How to play DVD with VLC? Can VLC play DVDs? Does VLC play DVDs among other questions coming from troubled users. However, this is not to say that VLC is faulty when it comes to playing a DVD. But, just like any other media player there are problems that people do encounter and sometimes they lack the knowledge when it comes to using VLC for this specific purpose. Sometimes VLC will not just play a DVD. There could be a number of reasons when it comes to these problems. These reasons vary, one reason behind it is that your VLC media player is not associated with .vob files. You need to associate it with .vob files for it to function properly. On the other hand, your player must be lacking all the needed codecs; therefore, you will need to download the combined community codec pack so that it can play your DVD with a lot of ease. This option can be helpful if only the file you are playing is not supported by the codec’s available in your VLC player. In order to understand the reasons behind your DVD not playing you will have to go to the message window and restart your stream. Thereafter, you will get some error messages from the wxWidgets message window if exist any which will tell you the problem. In case there are a lot of unsolved problems that you are experiencing every now and again when it comes to playing DVD with VLC, there are better options that you can adopt so that you can continue to enjoy your DVD videos. One of these alternative methods is Aimersoft DVD Ripper which is one of the powerful DVD converters in the market today. It has the ability to convert any commercial and homemade DVD to any format that you think of. These formats include AVI, MOV, MKV, M4V, FLV, 3GP, MPG, ASF, VOB, TS, HD MP4, HD AVI, HD MKV, HD WMV, HD MOV, MP3, WAV, AC3, AAC, MKA, OG among others. It Performance is a comparison to a common DVD ripper. By just a single click, you can convert your DVD movies, with fast speed and high quality. It also provides optimized output formats for iPhone (iPhone 5S/5C), iPad (iPad mini 2, iPad Air), Samsung tablets, LG, HTC smart phones and many other devices. A Mac version that named Aimersoft DVD Ripper for Mac has been developed for Mac OS X Mavericks users. It is user friendly and the steps involved in converting DVD are also simple. Insert DVD into your drive and launch Aimersoft DVD Ripper. Add the files you want to convert and select your preferred output format. Click the Start button to initiate the DVD ripping process. When finished locate your output folder and enjoy your movie. Surpassing what the name shows you, Aimersoft Video Player is the best alternative to VLC Media Player to play DVD on windows-based computer. Apart from converting video and audio format, this VLC alternative allows you to rip and convert DVD to support any media player or devices like iPad, iPhone, Samsung Galaxy Note 3, S4 and more. Most important of all, it can play DVD files (including IFO, ISO, VOB files) without having to install any extra codec packages. The built-in media player allows you to watch any DVD movies with HD visual experience without any hassles. Tips: Aimersoft Video Converter Player for Mac is available for Mac users. The supported computer operating system includes the latest Mac OS X Mavericks (10.9). PowerDVD is developed by CyberLink Corp. and can play any video, audio, pictures, DVD, Blu-ray and HD movies. It supports playback any files across PC, tablets, smart phones, TV and more. The supported OS include Windows 8. It's high playback image and audio quality makes it famous in the DVD player market. What makes people frustrated is that PowerDVD is expensive and its superabundant version usually makes users refused and hard to decide which to choose. BS Player is claimed to be the best multimedia player in the world. It supports DivX, HD, AVC video, movie, audio, DVD and YouTube files. There's a free basic version of BS player to fulfill users' needs. But if you want to navigate the DVD menu, you need to purchase it first. Besides, there's no "Play DVD" button, which means you need to upgrade to the pro version as per needs. 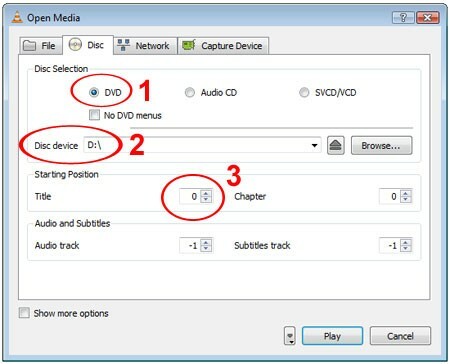 To conclude, when you play DVD files with VLC and found it didn't work, just don't give up your DVD and there are several methods that can help you save your DVD enjoyment. Renew your VLC, rip DVD to VLC compatible format, install the codec needed to play DVD with VLC or even try some outstanding VLC alternative like Aimersoft Video Player. Just like the saying goes, where there is a will, there is a way. Watching DVD movies anywhere you like is easy as ABC now.